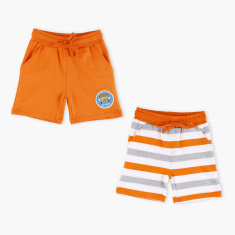 Every baby boy must own this set of two knit shorts. Crafted from the best fabric, these shorts are soft against the skin and comfortable to be worn. The soft elasticised waistband lends a snug fit.